Modern manufacturing includes all intermediate processes required for the production and integration of a product's components. The manufacturing sector is closely connected with engineering and industrial design. 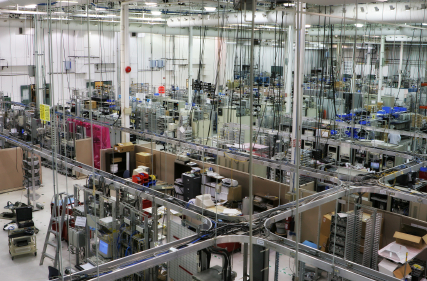 A manufacturing approach that LNS Technologies emulates consistently is the practice of lean manufacturing. A production practice that considers the expenditure of resources for any goal other than the creation of value for the end customer to be wasteful, and thus a target for elimination. LNS Technologies' approach to addressing IT concerns within any manufacturing operation are based on the same lean principals. We offer IT & Network System solutions that add value and efficiencies. Working from the perspective of the customer who consumes a product or service, "value" is defined as any action or process that a customer would be willing to pay for. The intent of considering LNS' services for your manufacturing environment stem from the theme of efficiency based on optimizing data flow with speed and security. Call LNS Technologies at (813) 221-1315 or send an email to info@LNSTech.com to discuss your IT and Manufacturing infrastructure requirements.